T.K. Moore, the starting wide receiver for the Denver Mustangs, dreamt his entire life about being in the NFL. His world is football, parties, and women. Maybe at one point he thought his future would play out with his high school sweetheart by his side, but Poppy is long gone and he's moved on. Alexa Martin is a writer and stay at home mom. She lives in Colorado with her husband, a former NFL player who now coaches at the high school where they met, their four children, and a German Shepherd. When she's not telling her kids to put their shoes on...again, you can find her catching up with her latest book boyfriend or on Pinterest pinning meals she'll probably never make. 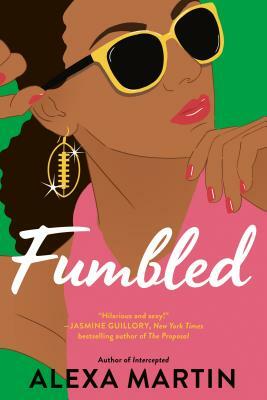 Her first book, Intercepted, was inspired by the eight years she spent as an NFL wife.